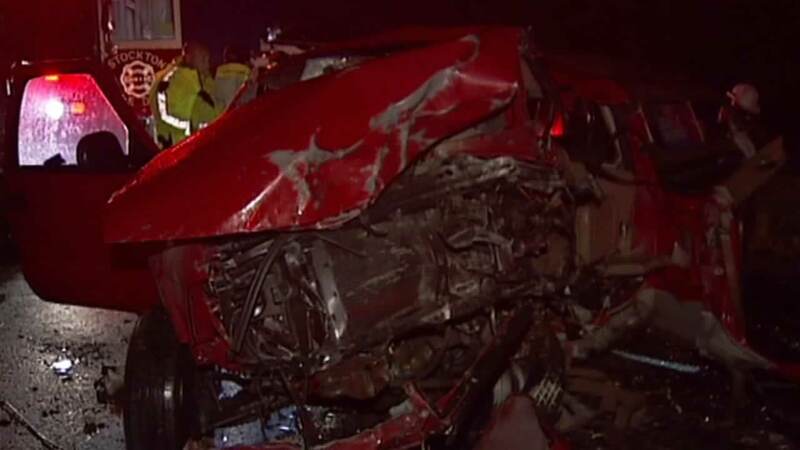 DISCOVERY BAY, Calif. (KGO) -- Two people are dead following a crash on Highway 4 near Discovery Bay. It happened around 11:30 p.m. Sunday about a mile east of Old River Bridge. Officials say a car swerved and hit another car head on. One car was carrying six people, including three children, went into a ravine. Two adults were killed and one was injured. The children were all rescued. Officials believe the victims are from Stockton. An adult in the other car was critically injured. There is no word on what caused the car to swerve.